As an enterprise, brand consistency begins in the heart of every employee. To uphold a harmonious consumer brand on an international scale – using the right brand management platform is key. Seeing that Lufthansa is one of the world's biggest airlines, with over 120 000 employees under its wings, consistent brand performance could seem challenging. Nevertheless, Lufthansa made it their mission – and came up victorious on the other side. 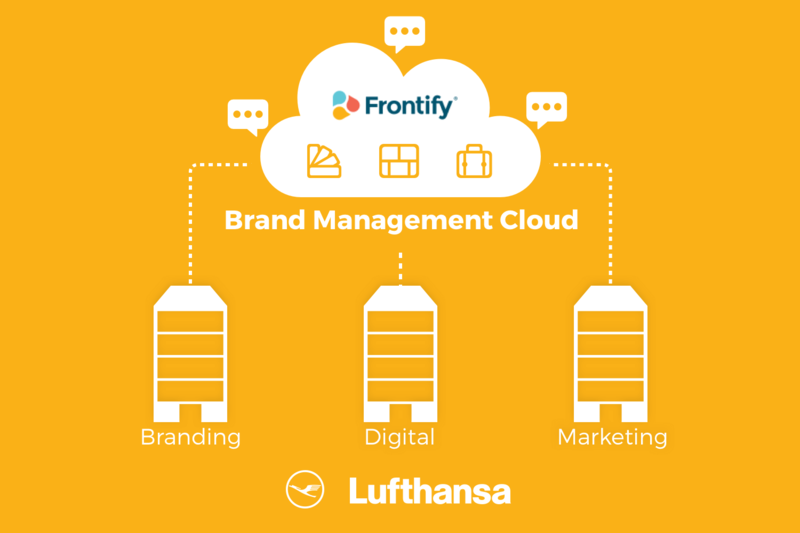 We met with Ronald Wild, Corporate Design Manager at Lufthansa, to figure out how Frontify enabled them to attain brand consistency throughout their vast enterprise. "Back in 2013, we used to work with an old brand portal. It had a tremendously complicated frontend, with time-consuming updating and very low flexibility. Very unsuitable for us. From a corporate identity view, we saw that we needed to take care of our corporate design issues." Ronald informed us that Lufthansa's former brand management platform lacked sharing possibilities. It was hard to gain access to it, and within such a huge company, the different departments were secluded regarding brand management, resulting in an inconsistent brand appearance. The internal design process was hard to manage, and they needed a tool that could effectively push the results out. They started searching for software that could unify their branding guidelines and transform the cooperation with simplicity, having People Interactive help them in the search. In 2014, they found us. "The effect of Frontify was immediate. We increased the quality of communicating through a higher brand consistency, we strengthened individual work due to better access to information and measured a considerable cost reduction – resulting in a possibility for higher production rate." Now, in 2017, Lufthansa has over 1200 active Frontify users. They're utilizing the readily available Frontify tools, such as the Style Guide, the Workspace and the Pattern Library. The ability to monitor all ongoing projects, delivered by several different agencies, helped in reaching brand consistency throughout the different departments. Being able to use one single dashboard for all design projects enabled all the stakeholders to work together – simplifying feedback and reaching a heightened transparency. 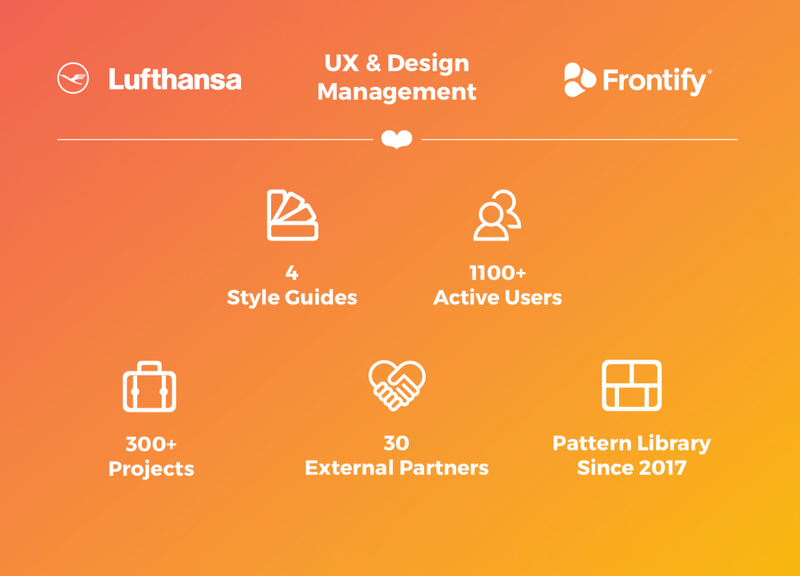 By contributing in building a bridge between the different departments, giving them a consistent brand identity throughout, the implementation of Frontify triggered a culture switch – taking Lufthansa from push to pull – while simplifying their entire branding process. 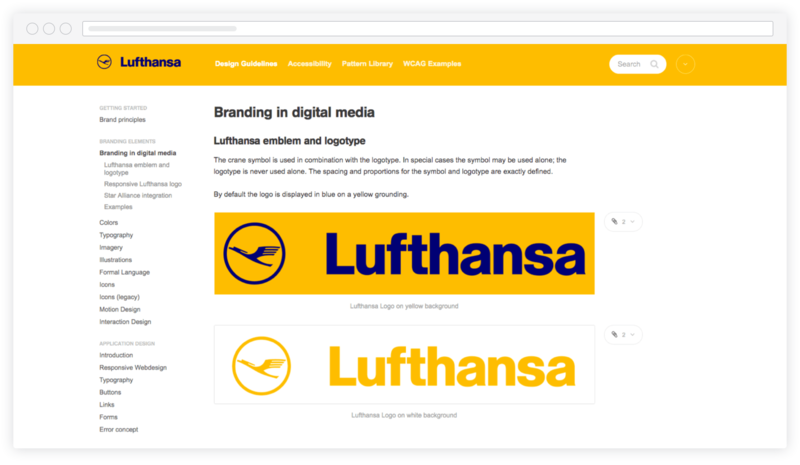 Even though the work is never over for a huge brand like Lufthansa, the choices they’ve made in enhancing their branding surely shows that they’ll keep cruising the stars far into the future.